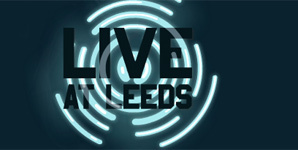 Promoters Futuresound present Live At Leeds a three-day spectacular that takes place over the May Bank Holiday weekend. In one day over 150 bands will play in some of best known music venues including The Cockpit, Leeds Metropolitan University, The Faversham, Brudenell Social Club, Nation of Shopkeepers, Leeds University (Stylus, Refectory and Mine), Leeds College of Music and The Wardrobe. There are also a series of fringe events planned. Some bands need seperate wristbands so please check carefully.